Korea is very famous because of the upbeat kpop, thanks to the EXO and BTC. It is also known for its addicting TV Drama series, well, Goblin, Legend of the Blue Sea, Strong Woman Do Bong Soon and a lot more. People also go there because of its attractive and world class tourist spots like Nami Island, Jeju Island and, whew, Everland. Of course, we can't take out the shopping experience, the food trip and the overall culture of Korea. Recently, new interesting things about Korea have evolved like the technology and even cosmetic surgery. One of the many reasons why people go to Korea is because of cosmetic surgery. Korea is one of the best countries to visit when it comes to this. With the experienced doctor, complete hospital facilities and affordable price, cosmetic surgery has become a household word in this country. While other countries raise their eyebrow about the concept of cosmetic surgery, Korea is open minded enough to accept this procedure as normal and without judgment. That is why people from neighboring countries flock to Korea to undergo cosmetic surgery. Well, I have good news for foreign visitors of Korea who wish to go through cosmetic surgery. If you will spend 30,000 won and above, you can actually get a tax refund via the VAT Refund System which was organized by the Medical Korea Information Center. If you will subscribe to the VAT Refund System, you have the right to choose your legal organization and you can have the transparency of the cost of care. 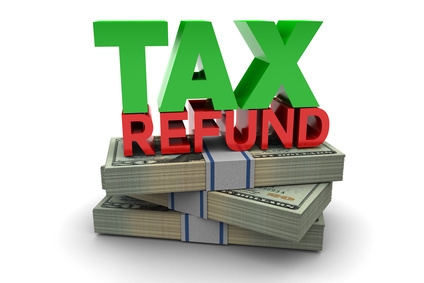 If you are not a resident of Korea and you are a foreign tourist, you can avail your Tax Refund. However, you must make sure to use cosmetic surgery in allocated tax refundable organization and you must depart Korea within 3 months staying in the country. Now, how can you actually claim your VAT refund? The first step should be, you must identify the affiliate medical organization. You must visit the Medical Korea website and search for these organizations. After identifying and selecting a medical organization, go and visit and experience the service. Pay the organization the corresponding amount including your tax. You must ask for a tax refund statement when you pay the organization. The last step would be to visit the tax refundable counter and get your refund. That's how easy it is. Next time you plan to go to Korea to undergo cosmetic surgery, feel free to contact the Medical Korea Information Center and inquire about the possible tax refund.